This hotel was completely refurbished in 2011; it is an ideal place for a comfortable holiday, in the southwest of Mallorca, for you and your pet. If you choose to travel with your pet there are green areas and coves close by and not too far away there are pet shops and veterinarian clinics for any emergency or simply advice needed. 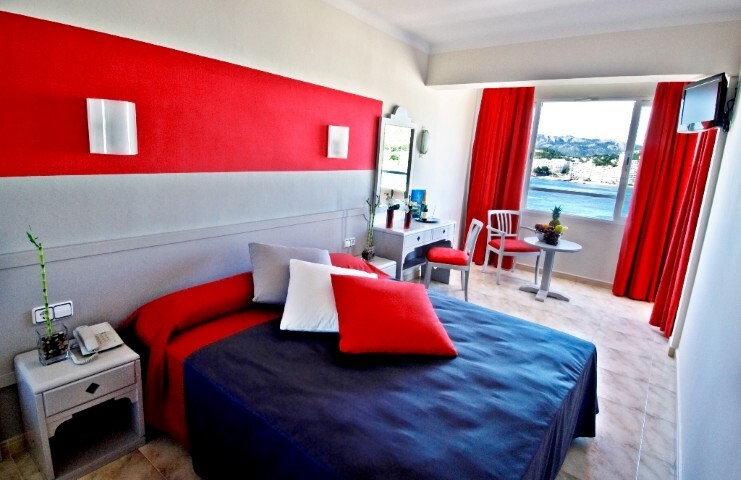 The 64 contemporary-styled rooms’ offers complete modern facilities; with air-conditioning, flat screen TV and free Wi-Fi and the majority of rooms enjoying stunning sea views across the turquoise bay of Santa Ponsa. It also got a first-rated restaurant and cocktail lounge. The Playas del Rey Boutique Hotel also boasts a sizeable swimming pool set in attractive private gardens – the perfect area for guests to relax. The hotel has an enviable reputation for providing superior service and high level hospitality.